Stock Exchange Japan has Asia’s largest equity market with a capitalization of $4.8 trillion in early 2007. The United States has the world’s largest equity market with a capitalization of around $16 trillion in early 2007. The Financial Services Agency (FSA) is the Japanese equivalent of Securities and Exchange Commission. In recent years it has been studying how to make Tokyo an international financial center on par with the ones in New York City and London while keeping its status as main financial center of Asia, staying ahead of rivals such as Hong Kong, Singapore and Shanghai. The aim of the effort is to get more Western investors to invest their money in Japan or at least Japanese financial firms to invest their money in Japan rather than abroad. The Tokyo stock market has been such a poor performer over many years. For many years now, many Japanese investors have been sending their money abroad where they can often get higher rates of return than they can at home. Recently with the strong yen, some have begun bring their money back to Japan. Samurai bonds refer to yen-based bonds sold by non-Japanese entities. Wal-Mart, Ford and other enterprises have used them to raise funds. These were popular in the late 2000s because they were not affected by banks affected by the U.S. subprime mortgage crisis. In Japan there is still a deep-seated aversion to finance which is regarded by many as a dirty game. This partly explains why manufacturing has been emphasized over financial services. Foreign capitalist firms are sometimes described as “vultures.” There are stories in newspapers---tinged with disgust---of American financial companies buying up assets like buildings and golf courses at fire sale prices and them selling them for big profits. Inside Tokyo Stock Exchange The Tokyo Stock Exchange was founded in 1878. About 2,300 firms are listed on it. It has the third largest combined market value in the world. In the early 2000s it was the world’s second largest bourse after the New York Stock Exchange, and the largest in Asia. In 1990 it was the largest in the world. It normally opens at 9:00am and closes at 3:00pm. As of late 2006 it could handle 8 million trades per day and 14 million orders a day. By comparison the New York Stock exchange has a capacity of 50 million trades a year. World's Leading Stock Markets (capitalization in $ trillions): 1) New York Stock Exchange (15.42 in 2006); 2) Tokyo (4.61 in 2006); 3) Nasdaq (3.87 in 2006); 4) London (3.79 in 2006); 5) Osaka (3.018 in 2000); 6) Euronext (2.370 in 2000); 7) Germany (1.466 in 2000); 8) Toronto (.886 in 2000); 9) Milan (.786 in 2000); 11) Zurich (681 in 2000); 13) Hong Kong (1.71 in 2006). There are five stock exchanges in Japan: in Tokyo, Osaka, Nagoya, Fukuoka and Sapporo and the Jasdaq securities Exchange. Fukuoka and Sapporo are connected to the Tokyo Exchange. Osaka is independent. After many companies stopped the practice of dual listing---listing on the Tokyo Stock Market and one of the smaller exchanges in Osaka, Nagoya and Fukuoka---these smaller exchanges have had trouble attracting companies and users. The Osaka Stock Exchange was founded in 1878. In June 2009, the number of companies listed on the Osaka Exchange fell below 1,000 for the first time in 27 years. There has been talk about combining the stock exchanges in Tokyo and Osaka to remain competitive as other stock exchanges around the globe in the wake of talk about other stock exchange mergers: London-Canada, New-York-Frankfurt and Singapore-Australia. Jasdaq is known as a small stock market for small domestic markets. Sony, Honda and Softbank were once listed on it but since they got big enough they switched to the Tokyo Stock Exchange. Some would like it become the Nasdaq of Japan. Osaka Securities Exchange is the largest market for start ups. In February 2009 it announced a partnership with Nasdaq, the U.S. stock market, which opened in Japan in 2000. The Nasdaq Neo market is for start-ups. Japan has two stock indexes: The 225-issue Nikkei and TOPIX (Tokyo Stock Price Index). The Nikkei 225 Stock Average is the equivalent of the Dow Jones Average. Most big companies are listed on the Nikkei. The Topix is broader. It includes mainly small companies but does embrace some of Japan’s biggest companies. 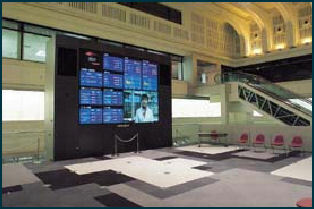 The Tokyo stock market and London stock marked began a partnership in April 2008. 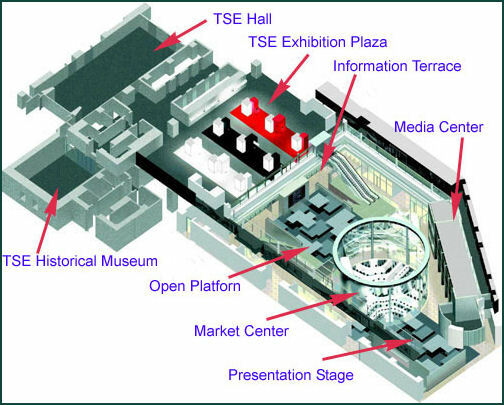 There has also been some discussion of the Tokyo Stock Exchange forming an alliance with the New York Stock Exchange. As of June 2006, foreigners held about 25 percent of Japan’s stock. Foreign investors poured a lot of money into the Japanese stock market in the 2000s, peaking with about ¥10 trillion in net buying in 2005. In 2008 the trend was reverses as foreign investors started to sell off their shares, with net selling of ¥4 trillion. During economic crisis in 2008 and 2009 foreign investors unloaded billions of dollars worth of Japanese stocks, contributing to steep decline of the Japanese stock markets. In the early 2000s, companies and banks began unloading their cross-shareholdings---long-standing arrangements in which corporations and lenders held each others shares. This enabled foreigners get a larger piece of the action in Japan, triggering a number of takeover battles such as the one launched by Livedoor and allowing companies to buy their own stock and rose dividends t fend off hostile takeover bids. Stock market tips are sometimes disseminated through classified ads in newspapers. The innocuous notice, "Ken-san, please call you father," for example, was a coded message to buy stocks in the trading firm Kanematsu. After the notice was posted prices for the stock leaped 57.7 percent. Shareholders rights is a relatively new concept in Japan and still does not carry much weight except when the shareholders are large Japanese companies and banks. This is changing somewhat as more foreign investors and Internet traders are buying up shares and small shareholders are showing up at stockholders meetings and voicing their concerns. Japanese companies are wary of takeover attempts by foreign firms who harshly restructure, lay off many workers and end long-standing relationships with suppliers. Steel Partners, an American investment company run by Warren Liechtenstein, has been engaged in several hostile takeover bids in Japan. It tried to takeover Bull-Dog Sauce Co, a Japanese condiment maker that is a producer of a popular steak sauce, but met sharp resistance. It had a similar experience in its takeover attempt of Sapporo beer and buy the water-heater-maker Noritz. Japan has switched over from paper stocks to digitalized ones. The digitization of stocks officially went into affect in January 2009 and all paper stock certificates became invalid after that time. In recent years the Tokyo Stock Exchange has become less attractive for foreign companies a place to list as a result of high costs, language barriers and the fact that investors in Japan can easily use various means to invest in stock in markets outside of Japan. There were 26 foreign companies listed on the Tokyo exchange in 2007, down from 127 in 1991. In November 2005, the Tokyo exchange shut down trading for most of the day because of a failure of the computer system. The computer problem raised questions about whether the stock exchange’s computer system---built by the Japanese computer maker Fujitsu---was up to date and capable of handling the volume of trade that the exchange experiences. 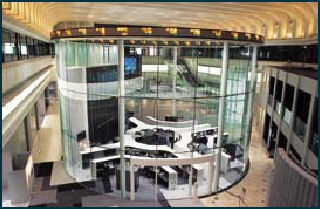 It was the first time a system breakdown caused the closure of the stock exchange since August 1997. Many investors complained that management at the stock exchange was too lax. 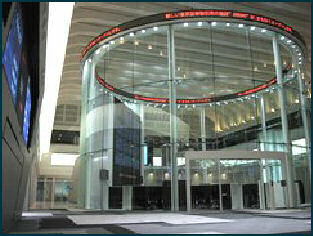 The Tokyo Stock Exchange was closed from 9:00am to 1:30pm. The computer system had just been upgraded and failed to start normally when it was switched on about 6:30am and was unable to retrieve important information such as the names of security houses necessary for accepting trade orders. Fujitsu created both the hardware and software for the system. Officials with the company said the breakdown was due to a glitch in the software and didn’t have anything to do with the upgrade. The mistakes were blamed on the inability of the computer system to keep up with the increased volume of trades that had resulted from an increase of investments by foreigners and day traders who often make trades using the Internet or cell phones. 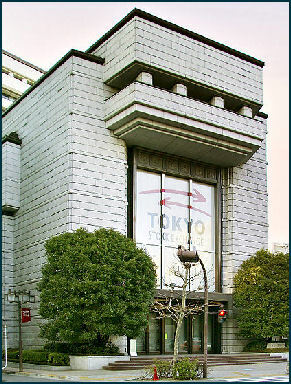 The trading capacity of Tokyo Stock Exchange was increased but the computer system failed again during an avalanche of sell-offs in January 2006. This prompted Fujitsu to increase the capacity more, from 4 million trades per day to 5 million trade per day by the end of January and 8 million trade per day and 14 million orders a day by the end of 2006. By comparison the New York Stock exchange has a capacity of 50 million trades a year. In December 2005, Mizuho Securities mistakenly sold shares of a newly listed job placement company called J-Com at far below market value because of a simple typing error, costing the brokerage firm $349 million. A trader mistakenly placed an order to sell 610,000 shares at ¥1 instead of an order to sell one share for ¥610,000. The sell order was for 40 times more shares than existed in the company. The Tokyo stock exchange took responsibility for the error and the president of the stock exchange resigned. Two individual Japanese investors---a 27-year-old unemployed man and a 24-year-old businessman---made profits of $17.6 million and $6 million. Foreign investors---including UBS, Morgan Stanley and Lehman Brothers---made the biggest profits from the error. The were made out to be selfish and greedy villains in Japanese press. UBS and Lehman Brothers agreed to give back their gains. In January 2006, Daiwa Securities lost almost $4 million after placing an erroneous sell order on the Tokyo Stock Exchange. The error occurred when a sell order for 25,000 shares was entered in a wrong category. Daiwa realized the error five minutes after it made it and issued a buyback order but investors had already snatched 13,000 shares at far below their value. Daiwa bought back all the shares but at a loss of around ¥500 million.